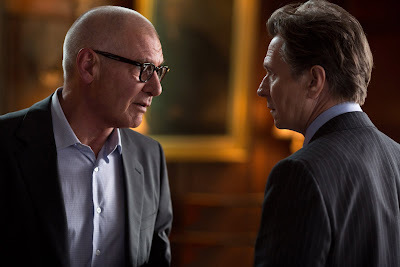 The high stakes thriller "Paranoia" takes audiences deep behind the scenes of global success to a deadly world of greed and deception. Hitting Philippines cinemas this October, “Paranoia” stars Liam Hemsworth (“The Hunger Games”), Harrison Ford, Gary Oldman, Amber Heard (“Zombieland”), Josh Holloway (TV's “Lost”) and Julian McMahon (“Fantastic Four”). In the film, the two most powerful tech billionaires in the world (Ford and Oldman) are bitter rivals with a complicated past who will stop at nothing to destroy each other. A young superstar (Hemsworth), seduced by unlimited wealth and power falls between them, and becomes trapped in the middle of the twists and turns of their life-and-death game of corporate espionage. By the time he realizes his life is in danger, he is in far too deep and knows far too much for them to let him walk away. "I'm a pawn in a master plan. And as it starts to get deeper and more dangerous, it's clear this fancy life is not what I thought," says Hemsworth. Ford says he buzzed his hair "to the shortest possible" length to play his high-flying character. "The look was something I had not had before. And I thought it added strong character value." Director Robert Luketic says word of the iconic actor's short 'do "made a lot of people nervous" before he showed it on the set. "Are you kidding?" says Luketic. "But I had complete faith in him. I am all for it when an actor wants to embrace the character. And he pulled it off. He looks really good in the movie and he brought his acting A-game." "There is a real contest of wills between the two of us here," says Ford of “Paranoia,” adding that the film's title is appropriate for the high-stakes business empire. "It's a world that is well served by being even more paranoid than the characters actually are."